Pondmaster Clearguard Backwash Air Kit lets you achieve the ultimate back-washing performance for your pond. 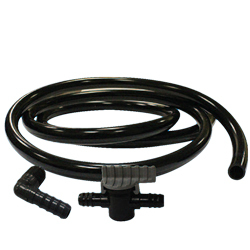 Simply connect the Air Kit to the bottom of your Clearguard Pressurized Pond Filter. The Backwash Air Kit will quickly loosen stubborn pond waste in the filter by agitating the biological media.